Anyone who has invested time looking into Disney World vacations has most likely come across the Dining Plan. With this, you can save around 20% vs. paying out of pocket. This plan can be included in the package of tickets and resort reservations; which succeeds in lumping everything together, turning your vacation into a neat and tidy bundle. 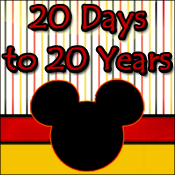 This is a great way to go if you are planning one trip to Disney in a year, and plan to spend ten days or less. If you are a Florida resident, or annual passholder, the dining plan is an option for you if you wish to add it to a room only reservation. There is a lesser-known option for these Disney-devoted folks when it comes to dining, however. Tables in Wonderland consists of a dining card you can purchase. For $100 ($75 discount if you are an annual pass holder) you can receive this card, good for you and up to nine other guests dining with you. This will give a discount of 20% at most dining locations on Disney World property and is effective for one years worth of discounts. Below I have done a simple breakdown of the costs of each. Of course, every party traveling to Disney is unique and there will be any multitude of variances. For example, there are different types of dining plans offered. Your party size and age of your children can have a huge effect. You may bring some of your own food. You may drink alcohol or soda. All of these and more can change the results I’ve obtained. Also, if you live locally, or visit the Walt Disney World resort many times over the course of a year (as most passholders do), you may wish to contemplate the Tables in Wonderland card a bit more seriously.